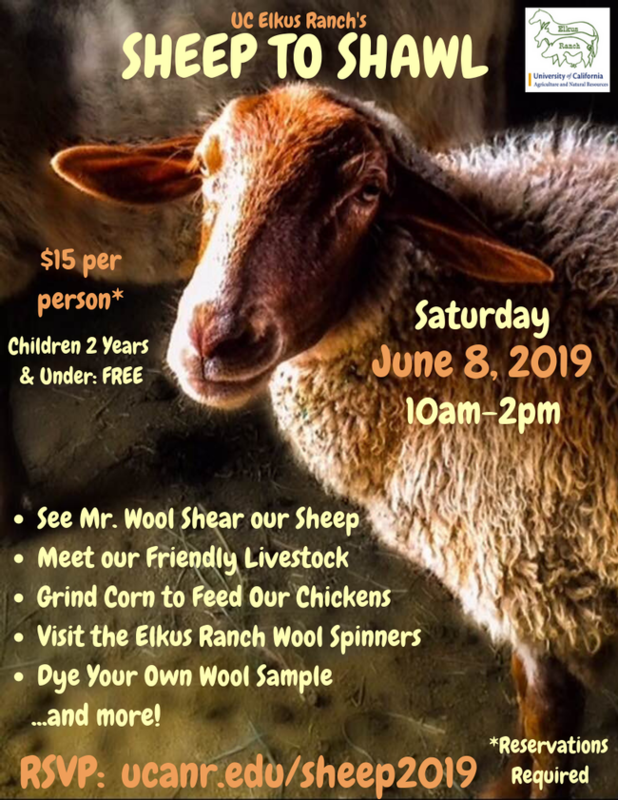 Join us for our annual Sheep to Shawl event at Elkus Ranch! Our flock of sheep will be sheared by a professional sheep shearer and Elkus Ranch will be open to the public* for a day of fun on the farm! Watch Mr. Wool shear our sheep, visit our friendly livestock, grind corn to feed our chickens, view wool spun into yarn, explore our gardens, and more! Advance registration is advised as space is limited! Please note that we are only accepting credit card payment in advance at this time. 100% of ticket sales benefit our educational programs. Thank you for supporting UC Elkus Ranch!